Based on various online booking engines, travel portals these days have eased the way people plan their journey. The world is shortened every day by travelers across. A business that was merely about transportation companies and travelers has now become a big industry in itself. There are agencies, agents, portals and applications offering traveling solutions. To jump into this sea of opportunities, one needs a travel portal development company to make a portal for their business. Travel portals are not reduced to bookings only. These days, modern travel portals offer ticket bookings, accommodation, taxi services and sightseeing as well. Having a vast experience as a tourism portal development company, we just know what it takes for a portal to lead from the front and be distinguished among the competition. Having worked across all booking engines, we expertise in providing the finest web services for any travel company. With a dedicated team, we target having the most creatively designed travel portal software solutions. This has enabled us to serve a wide range of industries such as destination management companies, travel agencies, tour agents and operators, rent and short stay providers, transportation and sightseeing locators etc. Being bespoke is one of our main strengths. We provide customized solutions to our clients. Travel technology platforms automate the entire process of inquiry. With prefixed information and continuous database updating, travel portal development companies offer very sophisticated search bars where customers or business owners can search relevant information. With our state of the art designing facilities, we automate the entire processes of planning, acquisition of a property, approvals from business owners (in this case, property or transportation owners), invoicing, tax calculations, etc. We help you collaborate with almost every leading transportation providers, be it on air, over the sea or over land. With software’s of booking and inquiry like Galileo and API, our aim is to get your company right up there onto a common platform where all others have the same access to information. For any B2C travel portal development unit, one thing has to be sure: your money and information should be safe. We abide by every cyberlaw and all payments made from our developed portals are safe and done through recognized gateways only. By maintaining a track record of what the users search and inquire the most, we are able to provide the customers what exactly they want. A mere inquiry of hotels or price confirmation of flights, we keep an eye on whatever your portal visitors are searching on your website. Based on this, we create a personalized experience for them the very next time they visit your portal. To achieve this, we integrate all the information sources such as manual outlets, call centers, mobile apps, website and at last, social networking. Starting from a mere thought of a holiday or a business trip, to a cab back home, a portal these days can manage everything. Gone are those days when a person had to seek 10 people for 10 travel services. Everything for your trip is now done on a single platform. 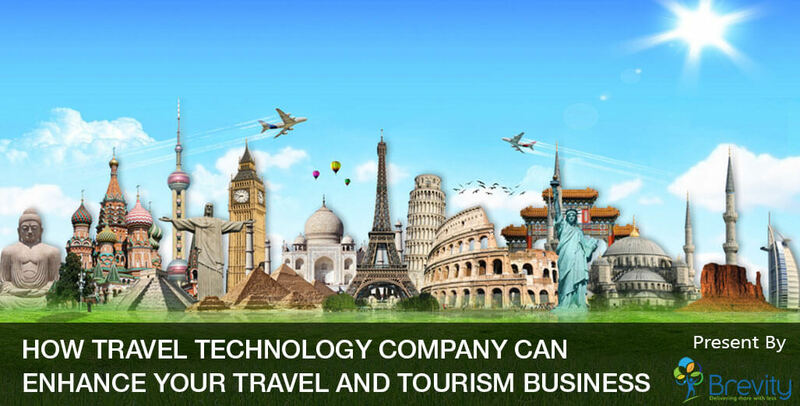 Having undertaken focused projects on travel technology, we take pride in offering all the latest solutions one needs to take the travel business to the next level. Some of our key services include e-commerce, m-commerce, optimization of travel booking engines, profile management, GPS based services, etc. This includes integrating multiple XML sources into one platform. This helps you book hotels, flights, sightseeing, local transportation, food cruise everything together. We work with all leading travel booking engines. No one knows your business more than you. As a business owner, you must be able to maintain the content of your website exactly the way you want it. We provide an excellent content management system that is so convenient to manage. Making changes to your website will not get any easier than this. We do not create rocket science so that for smallest of updates, business owners have to come to us. Updating the product information also helps you climb the ladders in search engines. There is not too much room for any creativity when it comes to bookings and reservations because the mediums of transports and the destinations already have their own identities. But we offer great SEO services that help you reach out to your customers faster. We have a dedicated team of SEO experts who help you get the content that sets you apart from your competition. Getting improvements in search results eventually leads to higher traffic. We make sure there is an increased traffic to your web portal at every hour. This will eventually lead to relevant business owners attracting to your portals. This gives great opportunities to you. You can collaborate with relevant travel business owners like airlines or hotels to get best deals, or you can get them to advertise themselves on your portal, that enables them to make the most of the exposure they get and it helps you pay your bills! With excellent customer service and after sales servicing, our expertise in the travel industry is there for everyone to see. Dedicated teams for every service you need, we provide bespoke solutions for travel agencies and travel service providers. Put your esteemed faith on us and witness the growing attention to your services, that too by your own targeted bunch. Thank you for sharing superb informations. Your web-site is so cool. I am impressed by the details that you have on this site. It reveals how nicely you perceive this subject. Bookmarked this website page, will come back for more articles. You, my pal, ROCK! I found simply the information I already searched everywhere and just could not come across. What a great web-site.